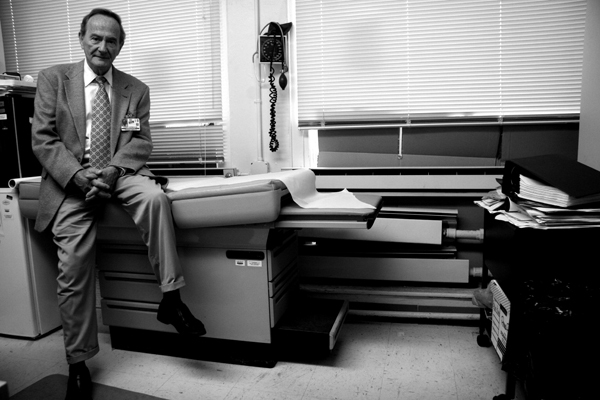 Dr. Robert Newman, who opened New York City&apos;s pioneering methadone clinics in the early 1970s. America’s long-running drug war has its roots in a real armed conflict, the Civil War. It was after that crisis that addiction to an opiate called morphine, which had been used as a painkiller and anesthetic for wounded soldiers, became a noticeable social problem in the country as its use moved from the battlefield into civilian society. Opium, the poppy product from which both morphine and heroin are derived, was the first drug that the U.S. legislated against, in an 1890 act of Congress that imposed taxes on opiates. It was also the drug at the heart of the problem that President Nixon cited in 1969, when he laid out a 10-point plan for reducing illegal-drug use—an effort for which New York was the proving ground. “New York City alone has records of some 40,000 heroin addicts, and the number rises between 7,000 and 9,000 a year,” Nixon wrote in his July 14, 1969, message to Congress. “These official statistics are only the tip of an iceberg whose dimensions we can only surmise.” Two years later, Nixon also cited New York’s drug problem when he pledged that “America’s public enemy No. 1 in the United States is drug abuse. In order to fight and defeat this enemy, it is necessary to wage a new all-out offensive.” In other words, a war. Local officials echoed the president. By 1978, New York City special prosecutor Sterling Johnson announced that Harlem was the “drug-trafficking center of the nation,” where dealers openly sold “to the blacks who walked into the streets and the whites who never got out of their cars.” And that had been the case for nearly a decade. Heroin from southwestern Asia, mainly Pakistan and Afghanistan, often routed through Marseilles, France, was what most of the approximately 200,000 New York addicts were shooting in the early 1970s. John Gilbride, special agent in charge of the New York office of the Drug Enforcement Administration, says that back then the heroin was only about 3 percent pure, which was very low compared with the 50 to 70 percent purity levels that the drug went up to over the ensuing three decades. Gilbride, a middle-aged man of average build who looks far more like a professor or banker than the state’s top drug cop, says after law enforcement took down all the “big-personality drug dealers” like Barnes and Lucas, the city’s heroin peddlers assumed a much lower profile. Along with their style, the source of their smack also changed. In the mid-’70s and early ‘80s, heroin from Southeast Asia, aka the Golden Triangle, that was sometimes referred to as “China white” was brought in by Chinatown gangs and dominated the New York heroin scene. During this period, the heroin market softened. According to the admissions records of treatment programs monitored by New York State drug officials, heroin was the primary drug of 92 percent of those treated for addiction in 1970, peaked at 95 percent in 1972, then slid to 46 percent by 1978. As the New York State Division of Substance Abuse Services reported back then, “There is a strong consensus that heroin activity is declining and new drugs of choice are emerging, such as PCP, cocaine and several other illicit substances.” But while heroin use seemingly declined, the number of arrests for possessing or selling it increased, going up 24 percent from 1975 to 1978, 61 percent of which were felonies. By 1990, the world’s foremost cocaine traffickers, the Colombians, wanted in on the lucrative New York heroin market. Back then, a kilogram of cocaine could fetch anywhere from $30,000 to $65,000, while a kilo of heroin was going for about $150,000 wholesale, according to DEA records. Using the smuggling network and transportation routes they had already established to ship huge amounts of cocaine into this country, the Colombians made their first foray into the New York heroin market by giving their cocaine dealers samples of their super powerful heroin and telling them to simply give it away to their coke customers, Gilbride says. And once the demand was established, the Colombians flooded New York with heroin that was so cheap and high in purity that they owned the heroin market virtually overnight. “They basically created a market for their heroin in New York City,” Gilbride says. Some shipments were close to being 90 percent pure, meaning that very few chemical agents were used to “cut” the product to dilute it so dealers could sell more hits and increase their profits. The purer the heroin, the stronger the high (and the danger). In fact, the heroin the Colombians originally brought into New York was so powerful that it not only made loyal users out of veteran addicts but also attracted a whole new crowd because it was so pure that they could snort it. This removed both the physical and psychological barriers of injecting heroin with a hypodermic needle, a line many recreational drug users refused to cross. “Snorting heroin does not have the stigma of putting a needle in your arm,” Gilbride says. The fallacious thinking was, “snorting made them less of a drug user than injecting,” he explains. This less invasive way to use heroin lured college kids and hipsters in New York into trying it and reversed the decline in the city’s heroin indicators. Treatment admissions to state-funded programs for those listing heroin as their primary addiction had been relatively stable between 1986 and 1990 but started to increase in 1991, rising 16 percent by 1994. Emergency-department cases involving heroin tripled during that same time frame. According to a state report by the Office of Alcoholism and Substance Abuse Services (or OASAS, the successor to the aforementioned State Division of Substance Abuse Services), heroin-involved deaths jumped from 557 in 1990 to 793 in 1993. If there was a law enforcement response to the rebirth of heroin, the crack-obsessed media didn’t record it. In fact, the heroin story of the 1990s was ignored, by and large, until it became so popular that some among the white celebrity set (like model Kate Moss, rocker Kurt Cobain and actor River Phoenix) developed addictions that subsequently received a good deal of publicity. (In 1993, Phoenix fatally overdosed while mixing heroin and cocaine, a practice known as speedballing, as did Saturday Night Live comedian Chris Farley four years later.) Eventually, Madison Avenue seized on the trend with its “heroin chic” look, as fashion ads featured strung-out-looking models. The heroin-chic look eventually faded away, as did the attendant publicity, but New York’s heroin scene has soldiered on since with a remarkable low-key consistency. According to Daliah Heller, assistant commissioner of the city’s Bureau of Alcohol and Drug Use Prevention, Care and Treatment, the number of heroin or opiate users in New York has remained somewhere in the area of 150,000 to 200,000 since the early 1970s. The state’s Office of Alcoholism and Substance Abuse Services says that since the late 1990s, intranasal use of heroin has remained more popular than injection of it, with hospital admissions showing that about 61 percent of those who sought medical treatment for heroin snorted the drug. But OASAS’s Street Study Unit has found anecdotal evidence that more heroin users under 30 might be turning to the needle these days. Medical admissions show that heroin users are “overwhelmingly male (77 percent), older than 35 (76 percent), more likely to be Hispanic (49 percent) than Black (27 percent) or White (19 percent), and likely to report cocaine as a secondary drug of abuse (46 percent).” Heroin admissions to treatment programs increased 30 percent between 1995 and 2004 but have leveled off since, OASAS reported. Since peaking when the Colombians took over the market, there has been a decline in purity levels and price over the past 10 years, according to DEA testing. In 2000, a kilo of heroin sold for between $64,000 and $80,000, and purity levels were somewhere in the area of 81 percent. In 2009, a kilo goes for between $48,000 and $70,000, and the purity level has dropped to 69 percent. Most people buy the drug in small glassine envelopes, each containing about a tenth of a gram, for $5 to $12 apiece. One disturbing trend that Hezi Allen, a drug counselor at ACI—the nation’s oldest private drug treatment center, in midtown Manhattan—says he has seen is an increase in the number of clients being treated for both heroin and pharmaceutical drugs like Oxycontin and Xanax. He says that some dealers are cutting their heroin with these crushed pills to make it stronger. In some cases, he says, these dealers aren’t telling their customers what they’re doing. So in addition to increasing the likelihood of an overdose, Allen says, this new mixture also makes it harder to kick the habit, because pharmaceuticals take longer to get out of a person’s system than heroin does. Allen says it takes about a week to detox from heroin, which is usually followed by a week or two of rehabilitation therapy and counseling. Most of this is done on an outpatient basis, whereas years ago, inpatient treatment was dominant. Insurance used to cover 60 days of recovery; now it covers 28, he says. And if you can’t go cold turkey, there’s methadone. Dr. Robert Newman and Gordon Chase were a strange pair to pioneer the city’s use of methadone to treat addiction. Newman says he had “zero training in addiction” and “zero experience in methadone” when Chase hired him in 1970 to run the city’s first methadone maintenance program. And Chase, even though he was the New York City Health Services Administration commissioner, had previously served as an assistant to the national security adviser in both the Kennedy and Johnson administrations but had no health care experience whatsoever. Methadone is a liquid that the user drinks, usually mixed with juice. A synthetic form of morphine, it was invented by the Germans during World War II as a palliative for wounded troops and was introduced in the United States as a painkiller in the late 1940s. But in 1964, Dr. Vincent Dole and Dr. Marie Nyswander of the East Side’s Rockfeller Institute found that methadone blocked the effects of heroin—suppressing withdrawal symptoms and reducing cravings. With heroin addiction rampant, Chase hired Newman (who is now the head of a hospital consortium that runs Beth Israel Medical Center and St. Luke’s-Roosevelt Hospital Center) to start methadone programs in the city. Newman admits that the clinic system was flying by the seat of its pants at first, but by 1974, it had more than 32,000 patients receiving methadone in New York City. The number would eventually reach a high of about 38,000. Currently, there are roughly 35,000 people in the city receiving methadone. Most people in the city receive their doses at methadone clinics, with the treatment funded by the state and Medicaid. According to the National Drug Intelligence Center, methadone stays in the body from 24 to 36 hours, meaning that people have to get a dose every day. Though Giuliani later abandoned the plan after a five-month experiment showed that only 21 of 2,100 patients quit methadone, he’s not alone in his thinking. Methadone itself is categorized as a controlled substance under the Federal Controlled Substances Act, just like heroin. People get addicted to it and even overdose. (One study showed that between 1999 and 2004, methadonerelated deaths jumped 390 percent nationwide, though illegal use of the drug accounted for a large chunk of that.) And it is true that most people on methadone are trading one habit for another. But Newman says that argument completely misses the point. Instead, methadone, which doesn’t produce the stupefying effects of heroin, allows opiate addicts to live somewhat normal lives and, studies show, reduces crime, the doctor says. Newman also believes that the city’s health department, which he commended as being “enlightened” for its strict anti-tobacco campaign, is “seemingly ignoring the heroin addiction problem.” He called for the department to reach out to heroin users through an aggressive public service campaign that will show them how and where to receive treatment. The health department’s Heller does agree that “there is a level of dependence that’s not being addressed” when it comes to heroin addiction. But instead of a public service campaign, the health department is concentrating on educating physicians on a new alternative to methadone: buprenorphine. Buprenorphine comes in pill form and can be prescribed by private doctors, offering a different way to reach addicts who are hesitant to be part of a methadone treatment program. But though the pill has been legal to prescribe since 2002, only 1,000 doctors in the city have attained the certification (which requires an eight-hour course) to prescribe it, and only about 100 of those physicians are regularly prescribing the drug, Heller says. Buprenorphine is a semi-synthetic opiate that was invented by the British pharmaceutical company Reckitt & Colman in 1982 as a painkiller. Congress cleared it for use in the United States in 2000, and in 2002, the FDA approved it under the names of Subutex and Suboxone. The drug works in the same manner as methadone, blocking the brain receptors that produce the craving for heroin and limiting the withdrawal symptoms. Each pill lasts between 24 and 60 hours. Buprenorphine can be addictive, especially in those who aren’t already addicted to opiates, but is far less so than methadone. Buprenorphine also has been shown to cause fewer overdoses than methadone does, but for those addicts who have built up a high tolerance, buprenorphine is not as effective a treatment as higher doses of methadone are, according to the health department. Heller says she believes the main reason more doctors aren’t prescribing the drug is that they haven’t received enough training to be able to detect signs of drug use and generally aren’t comfortable talking to their patients about substance abuse issues. To remedy that, Heller’s office sent bulletins to 127,000 doctors and nurse practitioners in June as a way “to raise awareness among healthcare providers about the importance of talking about drug use with their patients.” Health care experts interviewed for this story say buprenorphine is the only new drug used in addiction therapy since the war on drugs began—which reflects the fact that the focus of American anti-narcotic policies is enforcement (where billions have been spent and myriad new agencies, task forces and laws have been employed) rather than treatment. So little attention has been paid to the health care aspect of the narcotics problem that prior to buprenorphine, the major medical achievement in drug treatment was the slow, begrudging acceptance of needle exchange programs. In 1992, after a 12-year fight by activists like Jon Parker, a former addict turned Yale public health student who challenged the law criminalizing needle exchange by claiming that passing out clean needles saved lives, New York State finally authorized needle exchange programs, though possession of hypodermic needles was still illegal. Eight years later, the same activist forces, which included ACT UP, were able to win another needle exchange battle when they persuaded legislators to pass a law allowing pharmacies to sell needles without a prescription and permitting people to possess 10 or fewer of them. Since needle exchange began, statistics show the share of drug users in New York with HIV dropped from 52 percent to 6 percent, in 2006, according to Allan Clear, head of the Harm Reduction Coalition. Nevertheless, the NYPD continued to arrest addicts as they walked into needle exchange facilities on possession charges for the trace amounts of narcotics found in the used needles, until a state appeals court judge ordered a stop to the practice in 2002. Two years later, Mayor Michael Bloomberg’s administration quietly began allowing addicts to check their needles at the door of homeless shelters and then retrieve their “works” when they leave, Clear says. A small piece of that fortune came from the pockets of James Howard, who first tried heroin when he was 15, in 1968—”just experimenting”—when he was living in the Johnson Houses at 112th Street and Lexington Avenue, right in Barnes’ territory. In no time, he was hooked. Out of the approximately 50 users he knew in and around the Johnson Houses, “there’s only seven of us left.” It could have easily been six. Dealers often stamped their products with fatalistic names like Black Death or Could Be Fatal or Black Out. Howard remembers his final time using heroin. “I was 17. We was chasing this guy with this superdrug all day long for about six hours, all over the place. We finally found him,” Howard says. The next thing Howard knew, he woke up in the hospital after overdosing. “Turned out I was chasing death all day long,” Howard says. That’s when he went straight. Most heroin used in New York is still grown in Colombia, shipped to Mexico and driven across the border in trucks or cars. The DEA’s Gilbride says his agents have not recently seen much heroin from Afghanistan in New York. 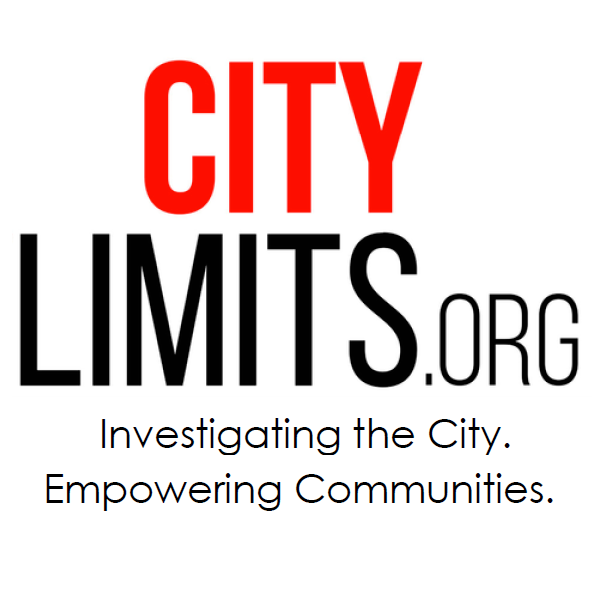 Pingback: Opioid Crisis: What People Don’t Know About Heroin - Dope Inc.
Excerpt from the latest issue of City Limits Investigates: Marijuana has gotten cheaper in New York in the past decade with an estimated 416,000 city residents smoking it.